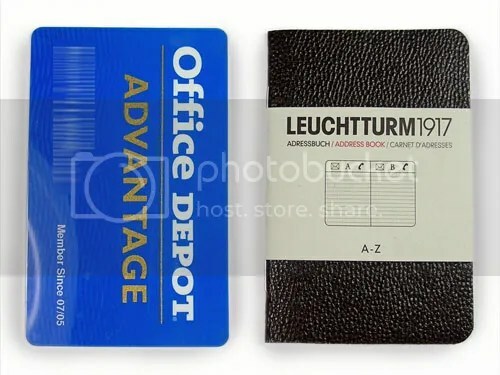 In August, Leuchtturm will be adding several new items to their US line including a tiny, credit card sized address book with a retail price around $3.00. Leuchtturm's New Mini Address Book is Due to Be Released in August, 2009. I was struck by how small this address book was, and wasn’t sure how useful it might be until my daughter pointed out to me that it is the same size as a credit card. 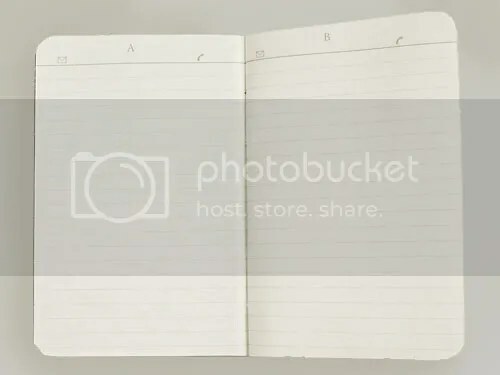 It certainly won’t take up much room since it can be slid into a slot in your wallet, but how many names can you possible get into a notebook so small? Leuchtturm Mini Address Book is About the Same Size as a Credit Card and Can Be Easily Inserted Into Your Wallet. There are 26 pages in the address book. Each page is devoted to a letter of the alphabet and there are 20 lines per page. If you are adding names, phone numbers and email addresses, you will most likely be able to use 1 line per name and could fit 20 contacts per letter. If you need to add addresses, you will get far fewer per page, the number depending on how many lines you use for each contact. The line spacing measures just a little over 3 mm, so the spacing is tight, but adequate if you comfortable using small writing. The Inside of the Leuchtturm Mini Address Book Has 1 Letter and 26 Lines Per Page. The cover is a soft, flexible pebble textured material, most likely an oilcloth. The pebble gives it some friction, which is helpful when removing the notebook from a wallet slot. It seems to be pretty durable despite its thin profile and the texture hides blemishes easily. The book is saddle-stitched or held together with staples, and it will lay flat with a little persuasion. Detail of a Page in Leuchtturm's Mini Address Book. 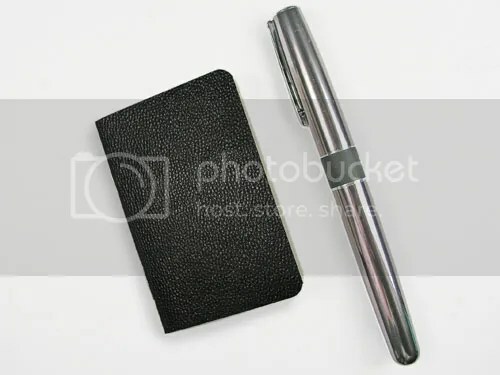 If you have good eyes and small writing, the Leuchtturm Mini Address Book is a good option that keeps your load light. It can be easily tucked into a wallet and will keep many of your contacts organized. 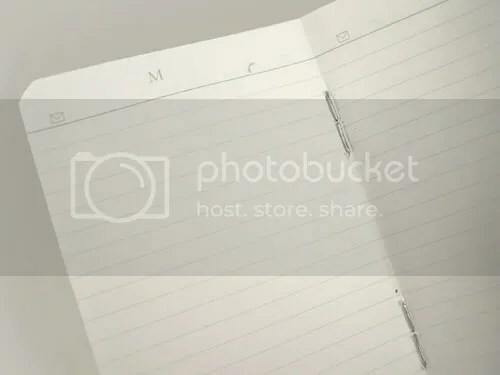 If you have a lot of contacts or if you have trouble reading small text, I would look elsewhere for a larger, more functional address book.